« Deadly Dinosaurs and Steve Backshall in Chepstow! Located in just outside Chepstow, this is a truly iconic jump. As you are raised up to the top of a 300ft crane over a 100ft cliff face you will realise the magnitude of what you are about to undertake; this is a truly unique jump – falling 400ft disappearing into a quarry. With the surrounding countryside stretching for miles around, the 400ft Bungee Jump does not disappoint, offering fantastic views as you ascend the 300ft crane, the 100ft quarry below will look further away that you imagine and as you hear the words "3, 2, 1, Bungee!" you will need all you courage to take that leap of faith off the platform! We will have a live band ‘People Like Us’ playing a free gig at the site on the Saturday evening, as well as lots of other activities and our Dive Demonstration Weekend – so why not make a weekend of it and book a glamping Wigwam. 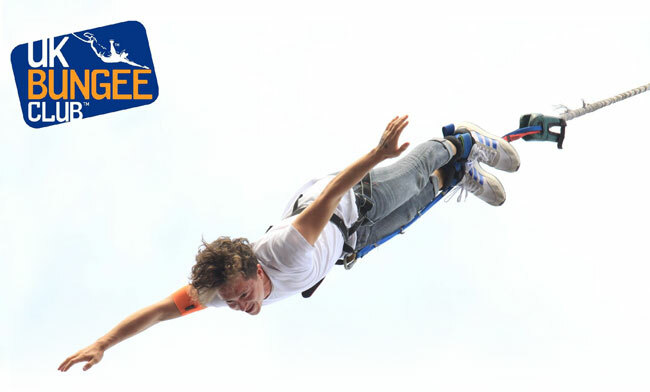 This entry was posted on Wednesday, August 29th, 2018 at 9:10 am and is filed under Activity, Bungee, Chepstow, Entertainment, Local Information, School Holidays. You can follow any responses to this entry through the RSS 2.0 feed. Both comments and pings are currently closed.